What’s the buzz? OALD in the news! Read the rest of What’s the buzz? OALD in the news! Posted in Multimedia News by paragonmobility. Comments Off on What’s the buzz? OALD in the news! Oxford Advanced Learner’s Dictionary – Now on Android Devices. Quality Content You Can Trust to Communicate in English with Confidence. ‘My View’ Customization, British and American Pronunciations, Illustrations, the essential ‘Oxford 3000™ Keywords’! Already Available for iOS, Coming Soon to Windows Phone 7! Paragon Software Group, a leading multi-platform software developer for mobile devices and desktop computers, and Oxford University Press, the publisher of the world’s most trusted dictionaries and learning materials, have united to bring the Oxford Advanced Learner’s Dictionary, 8th edition, the world’s best-selling print dictionary for English learners and their teachers, to Android mobile devices and tablets. Loaded with powerful learning features, the app offers full-sentence pronunciations, and over 1,300 colourful group and individual illustrations to explain words and expand vocabulary. The customizable My View allows users to decide exactly which information they want to see, and to find it fast and easily. Read the rest of Oxford Advanced Learner’s Dictionary – Now on Android Devices. Quality Content You Can Trust to Communicate in English with Confidence. Posted in Media Release News Uncategorized by paragonmobility. 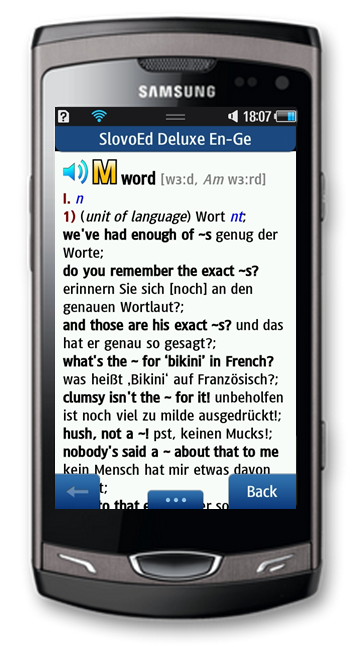 Comments Off on Oxford Advanced Learner’s Dictionary – Now on Android Devices. Quality Content You Can Trust to Communicate in English with Confidence. With more than one million downloads according to the Android Market, popular FBReader offers a comfortable reading experience, easy personal e-book library organization on Android devices, and now supports in-app translations in 29 world languages with Slovoed dictionaries! Can’t remember your credit card number? Forgot your PIN again? Handy Safe Pro data management application stores your information safely on any mobile or desktop computer, including the newest Windows Phone Mango devices. Enter to win a giveaway for one of five Handy Safe software packs! MacLife gives OALD 9/9 stars! Paragon Software Group and Oxford University Press, one of the most renowned dictionary publishers worldwide, have teamed up to produce The Oxford Advanced Learners’ Dictionary (OALD) application for iOS. We are pleased to announce that the editors of MacLife Germany have rated the app nine out of nine possible stars, giving it the Editor’s Choice award! MacLife praises the intuitive design, adjustable screen sizes, and its presentation on both iPhone and iPad devices, along with its ease of cross-reading and dictionary browsing. 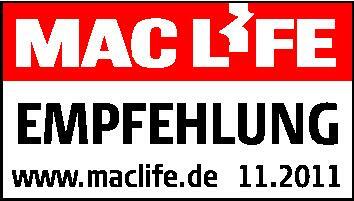 MacLife’s conclusion: “Perfect and very extensive. The app entices you to browse. Educational Goal!” OALD is currently the best app available on the market for English learners. Posted in Uncategorized by paragonmobility. Comments Off on MacLife gives OALD 9/9 stars! It’s August, and so hot the prices are melting on Slovoed Compact reference apps for bada! Eighteen Slovoed Compact dictionaries – containing all essential words and phrases users need to make foreign friends on summer holidays – are offered at a 50% discount through Sunday, September 5 at Samsung Apps. FREIBURG, Germany – June 22, 2011 – Paragon Software Group, the leading developer of multi-platform software applications for mobiles and computers, and Mobile TeleSystems (“MTS” – NYSE: MBT), the largest mobile operator in Russia and the Commonwealth of Independent States (CIS), were awarded for developments in wireless network infrastructure at the Global Telecoms Business (GTB) Innovation Awards 2011. At a ceremony held June 7, 2011, in London, the companies were honored for mobile service and billing innovation with the successful deployment of the MTS Mobile Portal, an easily accessible interface that allows MTS subscribers to manage applications and MTS services from a single point on their mobile devices. 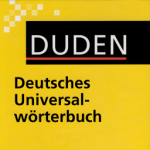 Half off Duden dictionaries at Android Market through May 29! SPECIAL OFFER! 50% DISCOUNT ONLY TILL MAY 29! Duden German-language dictionaries, with comprehensive, up-to-the-minute German vocabulary, include detailed entries devoted to technical terms, professionalisms, jargon, and slang. Duden contains elaborate entries on the meaning and usage of the words and speech tokens in a sentence, with liberal coverage of regional Austrian and Swiss dialects. 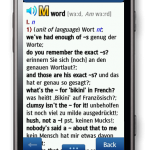 The mobile version of these award-winning dictionaries offer cutting-edge features — such as built-in German sound modules, wildcard search features and cross-referenced dictionary browsing — that expand the convenience of a classic. Posted in News Promos by paragonmobility. Comments Off on Half off Duden dictionaries at Android Market through May 29! Select reference titles from PONS, Merriam-Webster and Encyclopedia Britannica are now half off the regular price! Encyclopedia Britannica and Merriam-Webster for BlackBerry 50% off through Sunday, May 29! Read the rest of Select reference titles from PONS, Merriam-Webster and Encyclopedia Britannica are now half off the regular price! Posted in Media Release News Promos by paragonmobility. Comments Off on Select reference titles from PONS, Merriam-Webster and Encyclopedia Britannica are now half off the regular price!